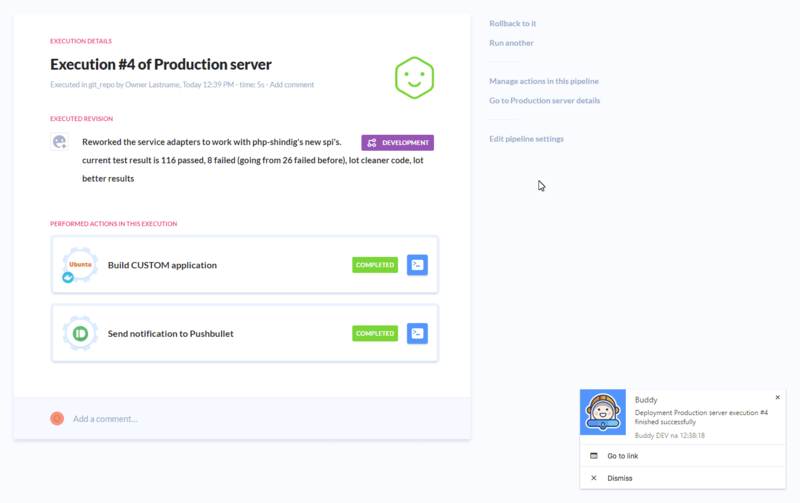 You will be asked to authenticate Buddy in your PB profile. 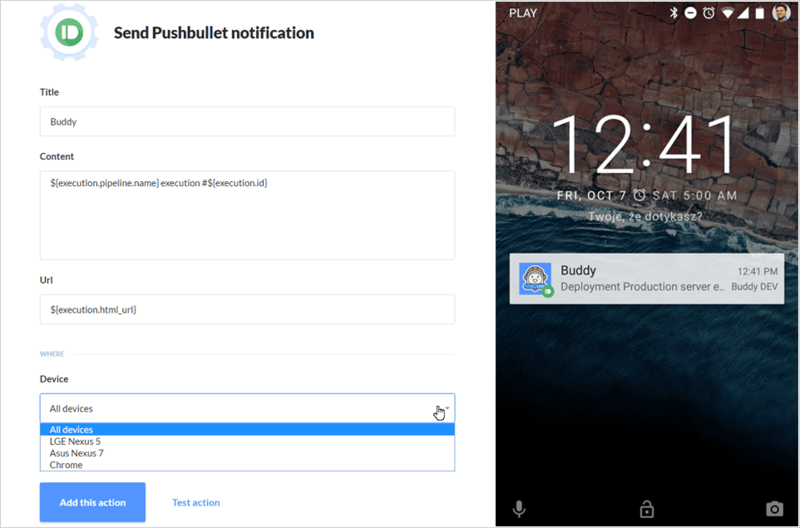 Once you do it, you’ll be able to edit the contents of your message and choose the device to which it will be sent (here’s the list of Buddy parameters that you can use). When you’re done, trigger the pipeline and keep your device fed with delicious banners!